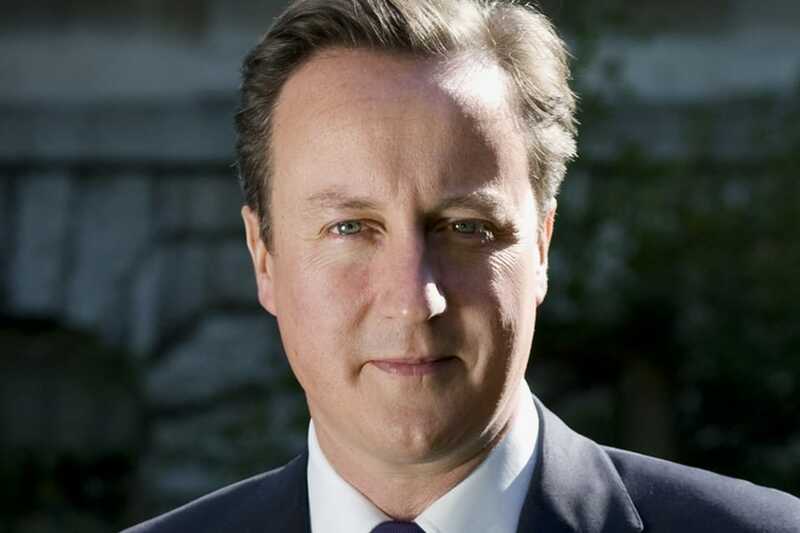 Prime Minister David Cameron gave a press conference on Friday 8 July. Good morning, everyone, and thank you for coming. Over the past few days, the whole country has been shocked by the revelations about the phone hacking scandal. Murder victims, terrorist victims, families who have lost loved ones, sometimes defending our country - that these people could have had their phones hacked into in order to generate stories for a newspaper is simply disgusting. I cannot think what was going through the minds of the people who did this. That they could hack into anyone’s phone is disgraceful, but to hack into the phone of Milly Dowler, a young girl missing from her parents - she was later found to be murdered - is just truly despicable. But this scandal is not just about some journalists on one newspaper. It’s not even just about the press. It’s also about the police, and yes, it’s also about how politics works and about politicians too. I want to be very frank about how, as a country, we should deal with this. People want to know that three things are going to happen. One, that action will be taken to get to the bottom of these specific revelations and allegations about phone hacking, about police investigations, and the rest of it. Two, that action will be taken to learn the wider lessons for the future of the press in our country. And three, people want clarity, real clarity, about how all this came to pass, about the responsibilities we all have for the future. That’s what this country expects at this time of crisis and concern, and I want to make sure that everything that needs to be done, will be done. First, we need action to get to the bottom of the specific revelations and allegations that we’ve seen. It is clear that there have been some illegal and utterly unacceptable practices taking place at the News of the World and possibly elsewhere. There is now a large scale and well-resourced police investigation underway. Of course, in 2006, we did have a police investigation, but we can now see that was plainly inadequate. This in itself requires investigation, and a separate allegation is that police officers took payments. That specific allegation is now being investigated by senior officers at the Met, and with my full support they have brought in the Independent Police Complaints Commission to oversee this. So, for those worried about the police investigating the police, this now has full independent oversight. But I think we should be clear: police investigations can only get you so far. What people really want to know is what happened, and how was it allowed to happen? That is why the Deputy Prime Minister and I have agreed that it’s right and proper to establish a full public inquiry to get to the bottom of what happened. A judge needs to be in charge, so there’s no question that it is totally independent and things are done properly. These are the questions that need answering. Why did the first police investigation fail so abysmally? What exactly was going on at the News of the World, and what was going on at other newspapers? Of course, the bulk of the work of this inquiry can only happen after the police investigation has finished. That is what the law requires, but that doesn’t mean we can’t do anything now. So, we will consult now with the select committees and others on the terms of reference, the remits, the powers, and what we can get started, we will get started. I want everything and I want everyone to be clear: everything that happened is going to be investigated. The witnesses will be questioned by a judge under oath and no stone will be left unturned. But we need action as well to learn the wider lessons for the future of the press. This is something we can get on with straight away, even while the police investigation is still ongoing. That is why I want to establish a second inquiry to begin at the earliest available opportunity, ideally now, this summer. This inquiry should be conducted by a credible panel of figures drawn from a range of different backgrounds, who command the full support and respect and above all confidence of the public. They should be truly independent without any motive but to seek the truth and to clean up the press. This second inquiry should look at the culture, the practices and the ethics of the British press. In particular, they should look at how our newspapers are regulated and make recommendations for the future. Of course, it is vital that our press is free. That is an essential component for our democracy and for our way of life. But press freedom does not mean that the press should be above the law. Yes, there is much excellent journalism in Britain today, but I think it’s now clear to everyone that the way the press is regulated today is not working. Let’s be honest: the Press Complaints Commission has failed. In this case, in the hacking case, frankly it was pretty much absent. Therefore, we have to conclude that it’s ineffective and lacking in rigour. There is a strong case for saying it’s institutionally conflicted, because competing newspapers judge each other. As a result, it lacks public confidence. So, I believe we need a new system entirely. It will be for the inquiry to recommend what the system should look like, but my starting presumption is that it should be truly independent: independent of the press, so the public will know that newspapers will never again be solely responsible for policing themselves, but vitally, independent of government, so the public will know that politicians are not trying to control or muzzle the press that must be free to hold politicians to account. This new system of regulation must strike the balance between an individual’s right to privacy and what is in the public interest. Above all, it should uphold the proper, decent standards that we expect. I’ve already spoken to the Deputy Prime Minister about all this and in the days ahead, we will meet with the leader of the opposition to discuss exactly what both these inquiries should cover and exactly how they should be run. If we are going to discuss the way the press is regulated in future, it would be much better if we could do this on a cross-party basis. People are also asking about the prospective BSkyB bid. As I have repeatedly said, governments must follow the proper legal processes and procedures. That is exactly what Jeremy Hunt, the Culture Secretary, is doing. His role is to take the advice of independent regulators and as his department have made clear this morning, given the events of recent days, this will take some time. But there is, as I said at the outset, a third question this scandal asks of us, and frankly it’s not an easy one for me to answer, but it is my responsibility to try. How did we get here? Because as we are considering the devastating revelations of the past few days, it is no good just pointing the finger at this individual journalist or that individual newspaper. It’s no good actually just criticising the police. The truth is, to coin a phrase, we have all been in this together: the press, the politicians of all parties - yes, including me. We have not gripped this issue. During the last government, a police investigation was undertaken. It was inadequate, but not enough was done. There were reports from the Information Commissioner and they went unheeded. There were select committee reports on phone hacking but there was no follow-up. Throughout all of this - all the warnings, all the concern - the government at the time did nothing, and frankly neither did the opposition. To be fair, it is difficult for politicians to call for more regulation of the media because if we do so we are accused of wanting to stifle a free press or even free speech. But the deeper truth is this: there is a less noble reason, because party leaders were so keen to win the support of newspapers we turned a blind eye to the need to sort this issue, to get on top of the bad practices, to change the way our newspapers are regulated. It is, if you like, a bit like MPs’ expenses; the people in power knew things weren’t right but they didn’t do enough quickly enough until the full mess of the situation was revealed. Now, when the scandal hits and the truth is plain for everyone to see, there are two choices: you can downplay it and deny that the problem is deep, or you can accept the seriousness of the situation and deal with it. I want to deal with it. These inquiries, I believe, give us a fresh chance for a fresh start and I want to take it. Look, it is healthy that politicians and journalists speak to each other, know each other; to me, democracy is government by explanation and we need the media to explain what we are trying to do. But this is a wakeup call. Over the decades on the watch of both Labour leaders and Conservative leaders, politicians and the press have spent time courting support, not confronting the problems. Well, it is on my watch that the music has stopped. And I am saying loud and clear that things have got to change. The relationship needs to be different in future. I am not going to pretend there is some nirvana of two separate worlds relating to each other on the basis of total transparency and ethical perfection, that is not real life, but we need to do a hell of a lot better than what we have done so far. Because, as this scandal shows, while it is vital that a free press can tell the truth to power, it is equally important that those in power tell the truth to the press. Now, let me just say this about a couple of the individuals concerned. First, Andy Coulson, who worked for four years as my director of communications: he resigned from the News of the World because of the things that happened on his watch. I decided to give him a second chance and no one has ever raised serious concerns about how he did his job for me. But the second chance didn’t work out and he had to resign all over again. The decision to hire him was mine and mine alone, and I take full responsibility for it. On the case of Rebekah Brooks, as I have said, I don’t think it is right for the Prime Minister to start picking and choosing who should run and who shouldn’t run media organisations. But it has been reported that she offered her resignation over this and in this situation I would have taken it. Before I take your questions, let me just say this: for people watching this scandal unfold, there is something very disturbing about what they see. Just think of who they put their trust in: the police to protect them, the politicians to represent them, and the press to inform them. All of them have been let down. So when the inquiries are over, the questions have been asked and the truth found out, I want a police that has proved itself beyond reproach, a political system that people think is on their side, and a press that is, yes, free and vigorous, that investigates and entertains, that holds those in power to account and occasionally, maybe even regularly, drives them completely mad. But, in the end, we need a free press that is also clean and trustworthy. That is what people want, that is what I want, and I will not rest until we get it. Thank you for listening; I am very happy to take some questions. Prime Minister, thank you very much. We have asked you many times about your decision to appoint Andy Coulson as your main communications man. You have always said, as you have repeated this morning, that he resigned and therefore paid the price. Given that hundreds of people lost their jobs yesterday because of what is alleged to have happened under his watch, given that the editor of the Guardian says he warned you, through an advisor, of what they might have had - so therefore you might have known what happened under his watch - isn’t it time that you said not that you take responsibility but you screwed up, you got it wrong, you made a mistake and for that you apologise? Well, I made a decision to employ Andy Coulson. He had resigned from the News of the World, he said at the time he didn’t know what was happening on his watch, he should have known what was happening on his watch, he paid the price, and he resigned. I took the decision - as I say, my decision, my decision alone - to give him a second chance. He worked for me in opposition, he worked for me in government, but the second chance didn’t work. He had to resign all over again for what happened under his watch at the News of the World. That is what happened and I don’t think it is particularly meaningful today to try and put a different gloss on it or go over it again in a different way. That is what I decided, that is what I did; people will judge me for that, I understand that, but that’s what happened, that’s the decision I made, and that’s what I am going to say about it. But how should people turn to you, Prime Minister, based on that decision? People will have to judge whether they think it is right to give someone a second chance or whether they don’t; that is the decision they will have to take. I don’t know what these people at News International did know or didn’t know; frankly I don’t think any of us did know or didn’t know. The key thing is they are going to be investigated by the police and, when they get investigated by the police and when the truth is out, it won’t be a question of whether or not they have jobs or whether or not they resign from those jobs, it’s a question of whether they are going to be prosecuted, whether they are going to be convicted, whether they are going to be punished. That is what needs to happen. We need a proper and full police investigation, then the public inquiry that I have set out very clearly today. Those, if you like, are my responsibilities. As Prime Minister, people want to know are you going to sort this issue out; inquiries to get to the truth, a proper police investigation, no cover up of what might have happened in previous police investigations and, yes, some frankness about what the politicians themselves got wrong. A relationship that became too close, too cosy, we were all in this world of wanting the support of newspaper groups and, yes, even broadcasting organisations. And, when we are doing that, did we spend enough time asking questions about how these organisations are regulated and malpractices and the rest of it? No, we didn’t. We have to, there is a new chance to do that, and that is what I am saying we are going to do today. Isn’t that longhand for ‘I screwed up’? I took a conscious choice to give someone who had screwed up a second chance. He worked for me, he worked for me well, but actually he decided in the end that a second chance wouldn’t work, he had to resign all over again for the first offence. That’s what happened and that, I think, is the best way to describe it. Thank you very much, Prime Minister. At issue here, surely, is your judgement. Why did you believe a man who had resigned over hacking at the News of the World and why did you ignore those who warned you that it was much more widespread? And on judgement about the future, why do you now say that as leader of the country you can’t say anything about the planned takeover of one of the country’s biggest broadcasters by an organisation that has been proved to behave appallingly? Well, first of all, your first question: why did I take this decision? I saw someone who had paid a price for what had gone wrong under his stewardship at the News of the World, who resigned because of what had gone wrong. Remember there was a police investigation, there was a trial, there was a member of staff who was sent to prison and Andy Coulson said that he did not know what was happening at the News of the World in terms of hacking and he resigned as a result of it, and I decided to give him a second chance. Now, that’s all I can do, is explain why I did what I did. Why ignore those people who said the hacking was widespread? You have explained why you hired Andy Coulson,, but you hired him when many people were saying that hacking was widespread and when many people believed it was simply implausible for someone who ran a newspaper to say, ‘Nothing to do with me, gov’. No, as I said, no one gave me any specific information. Obviously, I sought assurances, I received assurances, I commissioned a company to do a basic background check, but I’m not hiding from the decision I made. I made the decision: there had been a police investigation, someone had been sent to prison, this editor had resigned; he said he didn’t know what was happening on his watch but resigned when he found out, and I thought it was right to give that individual a second chance. Now, people will be able to judge whether that was the right thing or the wrong thing to do. All I can do is set out my thinking and why I did it. I think it is fair to say - and you know this because you’ve worked with him - as someone who ran communications for the Conservatives and then in government, people didn’t actually have a complaint about how he did his job. In some contrast, I might say, to other directors of communications who’ve worked in this building and produced dodgy dossiers and all the rest of it. That’s the point, but people will make their own judgments. Your second question is who is right, as it were, to try and take this issue forward and deal with what is a very complicated and difficult set of questions. How do we regulate the press? How do we ensure there is a proper police investigation? How do we get to grips with what went wrong the first time round? How do we make sure the relationship between the press and the politicians is more healthy? What I’m saying to you today is that I recognise the mistakes that have been made, frankly by all of us, including, as a politician, wanting to get good coverage from newspaper groups. I think if you can recognise the depth of a problem, set out what the solutions are, you have good chance of taking the country with you for solving this problem and getting to a point where we can say, ‘Our democracy’s in better shape, our press is in better shape, our police are in better shape’. That’s what needs to happen and that’s what I’m determined to do. Prime Minister, three quick questions. One, was it right to close the News of the World? Two, to use your terminology, with hindsight do you think there’s been anything unhealthy in your interaction or George Osborne’s interaction with the Murdochs? And finally, in terms of the key Ofcom test, do you think that they are fit and proper people to run BSkyB? First of all, on the News of the World: it is not my decision about which newspapers are open which are closed. Some mornings I would like to close all of them. I think it would be a very dangerous world if politicians and prime ministers started making those decisions. I think the problem here is, it’s not the paper, it’s the practices and what needs to change is not the name of the newspaper or the title or the letterhead; what needs to change is the practices that go on, and to make sure they are all legal and properly accounted for and properly managed. That’s the challenge. As I say, it’s not for me to say what papers remain open and what remain closed, but it is for me to set up these processes, to set up these inquiries, to make sure we learn the lessons and these things don’t happen again. On the issue of with hindsight interactions, relations with the Murdochs and the rest of it, the point I would make is this: you are bound to, as a party leader, want to have a relationship with journalists, with editors, with broadcasters, with proprietors. I mean, you do that because you have a mission to try and explain how you want to change and improve our country. And if that means talking to the head of the BBC, the editor of the Guardian or Rupert Murdoch, you get out there and do it; and that is what I have done for the last five years. The regret that I have - the problem I think that we are all now correctly identifying - is that because leading politicians feel so passionately about wanting to get that message across and wanting that strong relationship, not just with the Murdochs but with every broadcasting organisation, is we don’t actually stop and spend enough time asking, ‘Is this organisation behaving properly? Is the media properly regulated? Are problems being uncovered by other organisations that need to be dealt with?’ That, if you like, is the problem; it is not the nature of the interaction, it is the failure to actually ask the fundamental questions about media regulation, media practices and the rest of it. And that isn’t just about relationships with News International; that applies to everybody. I think we have a genuine opportunity. This is, if you like, a sort of cathartic moment, for politicians and media groups and journalists, for the politicians to say, ‘We are going to have these inquiries.’ They’re going to be difficult for everybody to learn the lessons of. They’re going to come out, hopefully, with a new way of regulating the press that ensures press freedom but also press responsibility. And then the politicians have got to step up to the plate and stop, frankly, just trying to curry favour with the media, but instead regulate properly so that actually we have a better situation. This is a huge opportunity if we get it right. Ofcom. The point I would make about this is there are proper organisations and procedures for looking at mergers and takeovers in this country. I know that people have concerns - they have concerns about things like plurality, they have concerns about competition, they have concerns about who is fit and proper and right to own a newspaper or run a broadcasting licence - and I think it is very important that this is done in the proper way with advice from the proper bodies. It is not appropriate for a prime minister to say, ‘I’d quite like that person to own a newspaper, but not that person’ or ‘that organisation to win a broadcasting licence but not that person’. That would take us to a very dangerous place. What we have in this country is proper bodies to look at competition, plurality, fitness and properness. They must all do their job based on the relevant and up-to-date information and they must all make their views known. Thank you very much, Prime Minister. You say now you want everything to change, but the fact is that after everything has come crashing down this week you did have a chance to take a lead as the party leader first and then as Prime Minister, and you didn’t do it in trying to change these relationships. Are you sorry that you didn’t do that now? Well, I don’t really accept the premise of that question. I mean, on Wednesday I set out very clearly that we are going to have, not an inquiry but inquiries, and today I’m putting the flesh on the bones of those inquiries and starting to set out how they’re going to work. I think I’ve also been very frank: it’s very easy for politicians to point the finger, ‘this appalling practice over here’ or ‘the police have got it wrong over there’. I think that is to miss part of the point, which is to actually say what’s gone wrong in the relationship and who is responsible for that and to accept part of that responsibility. And I think there is a similarity with expenses where frankly you could point to some parties having a better record than other parties or some politicians; the fact is the politicians had not spoken up about it and they needed to. This is a wakeup call and the question is, are you awake? Are you doing something about it? Have you got a comprehensive plan to put it right? And as I’ve set out this morning, I believe that I do. My question is about Andy Coulson again, please. You’ve said that people will judge you about your decision to hire him; it’s difficult for them to do that until they know what questions you asked of him. You’ve said that you asked questions and you’ve referred to a background check you commissioned. Can you tell us when you sought assurances, were they assurances in the broad generic sense, that you asked him whether he might cause you any trouble in the future, or whether you sat down with him and asked him specific questions about phone hacking and his editorship? And if I may as well, was that just one conversation before you hired him in opposition or was that a conversation you repeated last year before entering Downing Street? Well, first of all I sought some specific assurances but also some general assurances as you would expect. It was a series of conversations, a series of meetings we had after he resigned from the News of the World, before he came to work with me at Conservative Central Office and in the House of Commons. But I think your point that how can people actually know, is a good one, because the truth is I asked for assurances, he gave me assurances; he said he had resigned because of what happened but he didn’t know that the hacking had taken place. Frankly as we stand today with this police investigation underway, and the police investigation has got to be properly underway, we don’t all know in this room - I certainly don’t know - who at News International knew what about what. We don’t know that and as I say that has now got to take place and people will then be able to see, not whether people were right to resign from their jobs but whether people actually are going to be prosecuted and found guilty of something worse. That all now has to take place. All I can say is what I did, the decision that I took, the fact that I employed him, the fact that in opposition he did his job in an extremely respectable way, that he was a very good individual to work with; he was very much liked by the people who worked with him and trusted by them, and that is why he came into the Downing Street operation. But in the end he found that actually the second chance didn’t work because of his need to resign the first time for what happened on his watch, he had to do that all over again. That is the history of what happened, but I’ve tried to answer the question as best I can. You’ve talked about having the public inquiry and given us more details there, but said it can’t start until after the police inquiry. There are lawyers and MPs who say that that inquiry could start now, and are you concerned that even now we can hear the whirring of shredding machines in various places perhaps losing some of that very vital evidence? Parts of it can start now and parts of it will start now; we can start getting together the terms of reference, some of the paperwork, some of the preparatory work. What you can’t do, and the lawyers will explain this perhaps better than I can, is you can’t start a full-on sort of judge-led inquiry questioning witnesses about what happened at the News of the World while those witnesses are also being questioned by the police. It simply doesn’t work. The Gibson Inquiry into detainees that I’ve set up is quite a good example of this; we set up this inquiry but there is still one, I think, criminal case underway over this and as a result Gibson has got his committee together and they’re reading some of the paperwork. They can’t actually get started on the meat of the report and they have to wait until the end of this criminal case in order to get going. Now here, potentially we could have many more criminal cases so it may take even longer, but certainly in my view I want to get this sorted out as soon as possible; I’m champing at the bit to get the inquiry into press regulation and press ethic set up. I’m champing at the bit to get the judicial full public inquiry set up. I want us to get these things sorted. This is, if you like, a black cloud that’s hovering over the press, Parliament, the police. We’ve got to remove this cloud by dealing with the problems and I’m absolutely determined to do it and I think I’ve set out today a very comprehensive plan for how that needs to be done. Can I just check, are you saying that at the time that Andy Coulson came into Downing Street, no senior official from your office was warned that Mr Coulson had links to a former private detective that was facing trial for murder? Secondly, can I check with you whether you think if James Murdoch has said, as he has yesterday, that he authorised payments to cover up illegal activity, he is a fit and proper person to run a large company as he is at present? First of all on the issue of what I was told, I wasn’t given any specific, sort of actual information about Andy Coulson. The decision I took was the same decision right from the beginning that, you know, very bad things had happened at the News of the World, he had resigned, I gave him a second chance, he had proved himself as an effective person in opposition and it was acceptable for him to come into Downing Street. That was a decision I took, a decision I will be held responsible for, and I wasn’t given any specific information that would lead me to change my mind. Have you checked with your staff whether they were given something? I am checking with that. I watched your editor on Newsnight last night. I am checking that point but I don’t recall being given any information. Because the decision I made I kept it under review, but felt it was still the right decision that he had resigned over what happened, he had proved himself at his job and he should have the second chance that I wanted to give him. As I say, that didn’t work out; the second chance didn’t work, he had to resign all over again. The question about James - hold on a second. Can you tell us today whether any member of your staff was warned? I will certainly look into it for you. On James Murdoch, I read the statement yesterday. I think it raises lots of questions that need to be answered and these processes that are under way are going to have to answer all those questions. Thank you very much. You compared all this to the expenses saga and when that came along you talked about the need for daylight, sunlight and transparency. I’m not clear where you’re shedding any new daylight on your interaction with proprietors. People might go away from this thinking it’s going to be the same old cosy horse-riding parties, champagne, contacts, phone contacts. Why not tell us that you’re going to do something that we can measure you against like recording meetings, phone contacts, giving a clue as to what they’re about? And just on this other thing about Andy Coulson, you keep saying you don’t want to gloss over things, but aren’t you in danger of doing just that? Didn’t you turn a blind eye to what every single person knew? You couldn’t be an editor or a deputy editor of that newspaper without knowing what was going on. Well, first the issue of daylight. I’m quite in agreement with that. And I think actually when you look at what the government’s done in terms of transparency, it’s not just data about the Civil Service, data about public services; it is also data about meetings. I publish, I think, a regular roster of people who come for meetings here in any form of official capacity and we’ll go on doing that. I think there may be room, and this is something for the inquiries - maybe we can’t start on it earlier - for more transparency about meetings and the rest of it. We do that a lot with our lobby groups, interest groups. We do also mention press as well, but very happy to look at that. I think it is a good agenda. There may be some questions if suddenly every journalist had to publish every meeting they had, you might have some questions and worries about that, but I think it is worth looking at. On the issue of coming back to Andy Coulson, I mean, of course I accept, you know, he was editor of a newspaper where some very bad things happened and we’re now finding out just how bad. But at the time I made the decision there had been a police investigation, there had been a member of staff, you know, prosecuted and imprisoned, there had been what I thought at the time was, you know, what looked on the surface of it a proper investigation had taken place where someone had been imprisoned. So it seemed to me that because he had resigned for what had happened, which he said he didn’t know about, it was reasonable to offer that person a second chance. But, as I say, people are going to - I can only repeat so many times the thinking I went through and people will judge me on that and I fully understand that. The point I’d put in is that you also do have to judge him on the work he did both for the Conservative Party and for me because I think that is important. Because on the question of judgement if, as I say, if this person who had done - who is now being accused of doing these things at the News of the World, and we all have to be clear the police have got to check that, then did some terrible things while working for me that seems to me would be a different point. So I can only put the point about how I felt about it as many ways as I can. Prime Minister, on again the subject of a certain individual that used to be in your employment, I suppose a hypothetical question. If someone who gave you assurances especially about criminal activity, criminal behaviour, etc., then proved to have told you the wrong things, perhaps lied to you, certainly misled you, would you feel betrayed by that person? Well, obviously you’re putting a series of hypotheticals. But obviously, you know, if you’re given assurances and those assurances turn out not to be true, then you’re in a different situation. But the point I’m making is that I sought assurance, I was given assurances and I employed someone knowingly who had resigned because of what had happened at their previous organisation and I took the decision to give that person a second chance. As you say, if the assurances you’re given turn out not to be true, you’re in a different situation. I can only describe it as it is. When the Guardian first came out with this, the story in the summer of 2009, shouldn’t you have hauled Andy Coulson in and said, ‘Look, what’s all this about? Tell me everything’? Did you do that at any point after 2009? And when Mr Coulson resigned this January, did he warn you that more was going to come out? Did you ask him if more was going to come out? And specifically, did he tell you about these emails that indicated that he had authorised payments to policemen? At that point, shouldn’t you have said, ‘Surely more is coming out - tell us what’s to come?’ Anybody else would have done. As I say, that’s not the conversation that was happening. The conversation was that even at that point, he was finding he couldn’t do his job because of all the allegations that were sort of swirling round relating back. Obviously, during the period of his employment, of course we discussed this issue, but I never saw any reason to alter the fact that the assurances he had given me, and I had accepted, and the job that he was doing for me. But in the end, as I say, the second chance didn’t work. He resigned all over again for effectively the same set of things. He is now, as I understand it, under police investigation as others will be. That police investigation has got to go ahead unhindered - without fear or favour, as I said. I have satisfied myself - and I think it is important that people know this - that it is a properly resourced police investigation. It doesn’t involve any of the police in the previous investigation. It is full, proper, separate - one of the largest in the country. It needs to know that it can go wherever the evidence leads. That, I think, is the absolutely priority right now. Then we come on to the inquiries. Hopefully we will give a much richer understanding of what went wrong, why and what the lessons are that should be learned. I’ve explained - I did have conversations with him throughout the period of employment, but it never led me to change the fact of the key assurance that I was given that he didn’t know what was happening at the News of the World, a point I have made repeatedly. Prime Minister, since Andy Coulson resigned as director of communications, have you been in contact with him? Is he still a friend? Yes, I have spoken to him. I have seen him, not recently and not frequently. But when you work with someone for four years, as I did, and you work closely, you do build a friendship, and I became friends with him. I think he did his job for me and the Conservative Party and then the country - I think he did it in a very effective way. So, yes, he became a friend and is a friend. I haven’t seen him, as I say, in recent weeks. I haven’t seen him particularly frequently. I have been quite busy over the last year. No, you make friends with someone when you work with them for four years. You would be pretty abnormal if you didn’t, and you would be pretty unpleasant if you just forgot about it. Prime Minister, could the second chance that you gave Andy Coulson prove very costly? Could this be your equivalent of Tony Blair’s Iraq moment, and may you now need a second chance if it turns out that Andy Coulson lied to you, lied to the country about not knowing about the hacking practices, illicit practices, that were going on at the News of the World? As I say, I think people will judge. I made a decision. I gave an individual a second chance. He carried out his job well. He wasn’t criticised for the way he did his job. He resigned all over again. That was the decision he came to. I know that’s the decision I took. That’s the responsibility I have. People will make their judgements. I think it’s very different, frankly, from taking money for tobacco advertising or starting a war, or whatever. I think it is different, but people have to decide. I’m responsible for the decisions I take, the people I employ, the government I run. The buck stops right here, and I take full responsibility for every single thing I do. People will have to reach their own conclusions. Was it right to give someone a second chance? Was that a good decision? Was that a bad one? People will decide. All I can do is explain why I did what I did, how he worked for me, the job that he did, and the fact that he’s not working here, and has resigned, as it were, all over again. Can I take you back to James Murdoch, Prime Minister? In his statement yesterday, he said that executives working for him had effectively misled Parliament. He said that he and they had together approved payments to ask people to stay silent about criminal activities. Would you like the police to interview him and what would he have to do for you to feel that he wasn’t a fit and proper person to run a media organisation? Right, I think it’s very important that we don’t start living in a country where the Prime Minister starts ordering individuals to be investigated by the police. The police - as I have said, I couldn’t have been clearer - they have got the resources, the scale to follow the evidence wherever it leads, to question anyone, no matter how high or low. I have also made very clear the statement made yesterday leaves all sorts of questions to be answered. My responsibility is to make sure in all ways possible those questions are answered - questions about the police inquiry and why it didn’t work the first time round; questions about what this public inquiry is going to look at, how it’s going to uncover all the evidence; questions about how we reform media regulation; and questions the politicians need to ask themselves about the relationship between the politicians and the press. That is my responsibility. That is what I will do to the best of my ability to sort this problem out. That is what I am determined to do. The police - they must feel they can go where they need and they shouldn’t do it feeling they are going to be directed away from an individual or towards an individual. They must go where they need and question everyone to get to the bottom of this. Let’s just remember, in closing, why all this matters so much, because it’s leapt from being about celebrities and politicians to being about something completely different, which is that some of the families in our country who have suffered the most from losing their children and their loved ones are being made to suffer all over again in the most horrific and hideous way. To watch them on television having to relive the agony they went through when they lost their loved ones - the country feels appalled and pain on their behalf that this is happening. That is why it is so vital as a country that we grip this, no matter how difficult it is for newspapers to look in on themselves and ask the questions about what went wrong, for politicians to ask themselves why has this relationship between the press and politicians actually not worked out for the benefit of either or for the country, and we need to ask why the police didn’t get it right the first time round. These are difficult questions, but the key test, if you like, for the Prime Minister and for the government is to say: are we going to grip this? Have we got the right processes to get to the bottom of every single part of this problem? Are we going to take responsibility for the decisions that we have taken? My answer is yes, in spades. It will be done, and it will be done by this Prime Minister and by this government. Thank you very much indeed.